the corner. He leapt onto it and was whisked away. I’m excited for him and his new life chapter, and yet, I also believe that our most profound learning doesn’t happen in the classroom. It comes from meandering up a creek bed, peeking under stones, digging through the muck. It comes from getting into environments that surprise, challenge, and divert us from our everyday context. There’s a story embedded in the name Where There Be Dragons. It’s the story of traveling to our own edges, looking under those unturned stones, and listening carefully. Dragons values the narratives found in the margins, where unlikely relationships and understandings are built. We listen to divergent, challenging, and often marginalized stories as the first step to engaging responsibly and respectfully with the diverse perspectives of our shared world. Therein lies the wisdom of learning beyond the classroom. I want my children, and all children, to hear those stories. To listen and weave them into their own life narratives. In this journal you’ll find a collection of stories from members of our community as they journey into those subjects that are stirred up and reflected back in the mirror of travel. We hope you enjoy meandering up the creek bed with us. stool near the stairs. She explains to me that this is a celebration, the Festival de Virgen, de Santa Maria. I nod. This explains the people, the statues and crucifixes around the house, the altar full of lights and flowers that has filled the living room for the past two days. house, and spills out like light onto the street. Hebrew chant as they give thanks. than holidays and Sabbath dinners. bible. I am suddenly aware that what I am witnessing is something holy. streets, I feel oddly lonely. and shadow below me, and I begin to pray. words, butcher the Hebrew, finish as quickly as humanly possible. Tonight I am not rushing. My words lift up, backlit by starlight, accompanied by an enthusiastic rendition of “La Bamba” from the band playing on the hill. giggles like we’re sharing a secret. Sunday school prayers. I parrot her words. laugh and can’t stop laughing. praying for something entirely different? the biggest pair of brown eyes I’ve ever seen. miss home so much it’s an ache in my chest. A small hand presses into mine. “Okay. “I’m praying,” I tell her. We split the bread—one half each—and say Sabbath prayers over the lights of the city below. especially when said writing is directed to Western audiences. one thought kept popping up in my mind: she’s my friend. and have her be a part of this family for a few months?” I’d say yeah, mungi dox. is currently a freshman at Princeton University, where she spends her days looking at pictures of her time in Dakar at 3am, facetiming her five dogs, and going on rants about the fake Mexican food in the dining halls. PHOTOFernanda and her homestay mom, Ouleye; dad, Ibou; and brothers, Sidikh, Rassoul, and baby Mame Cheikh. Toubab is a word widely used in Senegal and other West African countries to refer to foreigners. THIS EXCERPT IS FROM A NEWLY RELEASED BOOK ON INTERNATIONAL VOLUNTEERING: LEARNING SERVICE: THE ESSENTIAL GUIDE TO VOLUNTEERING ABROAD. open up opportunities many of her colleagues would not have had. every country in the world, with little hassle getting a visa. instructor for Dragons Adult, Educator, and Student programs. DANIELA PAPI-THORNTONworks in education and leadership development and has taught university courses at Oxford, Yale, and Watson Institute. Daniela helped design and run Dragon’s first Educator courses and is still very invested in the Dragons community in Boulder, Colorado. READ MORE about Learning Service: The Essential Guide to Volunteering Abroad at www.learningservice.info. Or you can order the book from Amazon: https://amzn.to/2NMXZor. owned a camera. For a lot of that time I feared photography might sap my motivation to write about what I was seeing and experiencing, the written word inhabiting some higher plane in my mind. When I finally decided that notebooks full of scribbled observations didn’t quite capture the fullness of my experiences, I picked up a Canon point-and-shoot from an electronics vendor outside Phnom Penh’s Central Market. For whatever reason, I decided early on that pictures were better without people in them. I remember spending most of a morning perched above one of the sandstone parapets of Angkor Wat’s inner chamber with all of my 8-megapixels pointed toward a certain pattern of shadows being cast across the floor. With the inverted patience of a birdwatcher, I finally caught a break in the ebb of tourists just long enough to frame the sudsy dawn light sans tourists. When I moved to India with Dragons in 2014, I took with me a slightly more sophisticated camera but with ideas for its use that hadn’t evolved. I still held high the purity of capturing the lines of places without the interruption of human forms, unpredictable and prone to irregularity as they can be. Those of you who have spent even a day in an Indian city will know that the effort to point your camera in any direction and not frame a person is an act of futility. Stymied by the sheer volume and pace of life, the Indian subcontinent, as it is wont to do, forced me to rethink my way of being/seeing/thinking. Did that alley with crumbling bricks and the faded remains of an advertisement for a cement manufacturer look exactly the way your heart felt sometimes at sunset? Of course it did. Was it possible to take a picture of it without a goat, or a cow, or a child, or a chai walla, or a monkey, or a religious pilgrim, or all of the above, in it? Absolutely not. A guard at Jodhpur’s Mehrangarh Fort caught in a moment of contemplation. A Ladakhi mother feels shy in front of the lens while her daughter experiments with echoes in a disconnected water pipe. A fisherman organizes his nets with the help of a trusted sidekick along the Ganges in morning fog. This work takes patience, dexterity, and occasionally fluorescent orange horns. Saris blossom in afternoon light at Jodhpur’s Mehrangarh Fort. Our group got an exclusive tour of the UNESCO World Heritage Site through the connections of a local program mentor and before we knew it we were sitting along the field at the Maharaja of Jodhpur’s exclusive polo match. alleys of India’s ancient cities. The walking stick, the flannel, the vest, the beard, the boiled peanuts, the swagger. This Banarsi man came down to the ghats on Diwali to take in the holiday with style. Two old friends don their technicolor bathing robes after an early morning dip in the sacred Ganga Ji. A sun-drenched flower-seller at Kolkata’s famous market waits to balance more blossoms. uneven pitch on Varanasi’s Chet Singh Ghat in winter fog thick as daal. Security forces are ubiquitous in the holy city of Varanasi. This troop of female soldiers were brought in to provide extra support during a time of increased pilgrimage to the city’s infamous ghats. They took their jobs seriously. A trusted tailor works on a custom kurta in Varanasi’s Assi Ghat. after the 2015 earthquake. What have we gotten ourselves into?, I thought in arrival-shock as we climbed four steep ladders, ducked into three-foot tall doorways, crossed the roof, clambered down another ladder, and closed ancient wood-latticed windows against mosquitoes. What is this version of hot, muggy, and under-developed Nepal going to do for us? Why again did we choose this? announced a personalized act of devotion. up with our traveled bodies. way of homestays with Newari families. we let that spirit dwell. namaste to Caroline for the next few days. humor broke the ice all around. his friends to temples nearby. unforeseeable ways a generation from now. every week exclusively washing clothes. were both educators. Who knew? just like their ancestors did centuries ago. to college with smartphones in their pockets. the young teen girl near him was sobbing. to a place I’d never expected. complete strangers in an unfamiliar place. everyone laughs at, and then you smile. the world than indifferent to it. understand and relate to more deeply. of the boat slowly becoming more frantic. each of our homestay families! ways to see and understand life. spectacled bear and Amazonian monkeys. while no voices are allowed above a whisper. this highly diverse and vulnerable ecosystem. other hand was taken by Kate. whatever it takes to make that feeling stay. explore what is different with great respect. am, and challenge me to find a version of myself independent of everything I’ve ever known. single day. I feel stronger than I’ve ever been. me into her room to begin wrapping my sari. our little piece of the world matters. even though we could barely communicate. truths we discovered during our travels. mother’s back to dangle from a thin branch. to give and receive the abundance of life. are lit to remove impediments to happiness. the last habitats on earth for the orangutan. in the narrative of global citizenship. and all of their diverse, beautiful wildlife are burned, poached, and illegally logged. focus on just DOING things. grocery store and take a peek at the shelves. keep me connected to that version of me. On this course I witnessed two sides of life. leaning into the delights and discomforts. whose lives and cultures were profoundly different from mine. jungle, arriving eventually in a refugee camp before coming to the US. would call to my mother downstairs. “Yes, Kiri?” my mom would answer knowingly. “Never mind!” (cue cascade of two boys laughing). My mom was very patient. move from one place to another slowly enough to really see things. asked my parents for some photos to put inside my t-shirt. as she stitched up the sack and walked with me to the post office. I wondered if that last part was true. I hoped so. I wasn’t sure. level of hospitality and generosity I was shown. Then, the stranger spoke a Chinese phrase that was, by then, starting to become familiar to me. “It’s what I should do,” he said. there on the steps of the bank, a man walked over to me. explained I was looking for a bank. everywhere if we all did what we should do. Would this ever happen where I’m from? more hostile attitudes towards immigration in the US, Kiri was deported. sent back to the country from which he had originally fled as a refugee. been when he first arrived. and that sometimes things will go wrong, and that when things do go wrong, they may learn something powerful and unexpected. feeling that all of them have been doing so well with the homestay. lucky they are to live with such high standards of living and freedom. in Phnom Penh until 2009, when she received a scholarship to study in the Czech Republic and earned her Bachelor’s degree. Her dream of being an author came true in 2009 when her very first children’s book was published. She now has four published books. She most recently published a Khmer novel, “A Captain of Life” which is semi-autobiographical and combines real life stories of women in her life. One of her books, A Proper Woman: The Story of One Woman’s Struggle to Live Her Dreams, is available on Amazon at: http://a.co/d/5XyfaDc. You can learn more about Thavry and find all her books at www.thavry.com. 5000m. We have walked up mountains, down valleys, across landslides, over suspension bridges, across rivers, and through villages. We have crossed over mountain passes and walked through the jungle, forest, and the high alpine climates of northern Nepal. 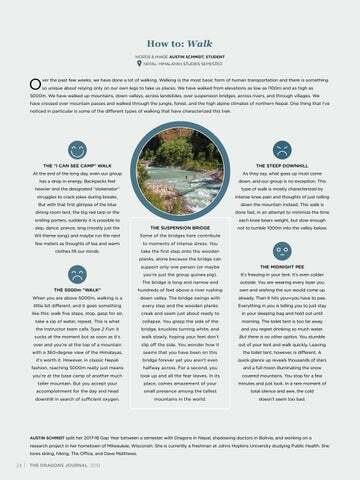 One thing that I’ve noticed in particular is some of the different types of walking that have characterized this trek. struggles to crack jokes during breaks. not to tumble 1000m into the valley below. you’re just the group guinea pig). already. Then it hits you—you have to pee. and you regret drinking so much water. downhill in search of sufficient oxygen. delicious fistfuls of savory sauces and white rice into our hungry mouths. Meals were completely satisfying. In my reflections, I realize that I was being nourished not only by the food, but also by the company I kept. Meals were a communal pause in our day, often followed by napping, drinking sweet mint tea, and braiding hair. Upon returning to the States, I processed my experience in Senegal by attending West African cultural events, printing a myriad of black and white photographs, and cooking Senegalese food for friends. One of my favorite dishes to make was mafé gerte, or Senegalese peanut sauce. Simple yet scrumptious, this dish has served as one of the bridges between my Colorado mountain life and the years I resided in a round, earthen hut, gathering each day for the ageless ritual of sharing a meal. in oil on medium heat until golden. Add vegetables and sauté for about 5 minutes. if you prefer meat in your sauce. southern Senegal. The holistic, community centered, and off-the-beaten-path style of Dragons captured Megan’s heart. In the past dozen years, she has continued her involvement in several capacities, the most recent as Co-Director of Adult Programs. community and your presence alone makes you a valued member. Dragons instructor, student, or alum. to their principles, regardless of the climate among peers. preserving its heritage and remaining faithful to core values. should not be blindly assumed, but evaluated in this context. literally translates to the “Land of the Thunder Dragon”? environmental conservation and cultural preservation. happiness is often viewed differently than it is in the US. to encourage students to look closely at their own lives and experiences, and to explore their tacit assumptions about happiness. particularly as families move between regions with seasonal change. illustrated by picturing a road trip across Bhutan during the summer. station outside Jakar, Bhutan. P.S.Dragons is now building and running a Bhutan Semester! Visit our website to see the itinerary and details of our newest Gap Year program. SARA VAN HORN PARTICIPATED IN THE DRAGONS 2016 CENTRAL AMERICA SEMESTER AND RETURNED TO GUATEMALA THE FOLLOWING SPRING TO STUDY SPANISH, GUATEMALAN HISTORY, AND TZ’UTUJIL. months: at least, this way, I cannot pretend to understand. run with my host sister on the way to the mill, holding the soaked corn. Tz’utujil, bathed in slight smoke, and smiles at my stumbling reply. Internal Armed Conflict that lasted from 1960 to 1996.
like the simultaneous circling of three different gears. into the heart, that this is what the very first ones called knowledge. importance of ancestors, to the idea of inherited wisdom. After a month, I leave early in the morning and cross the lake, thinking of fluorescent light conversations over rice dinners and the tender hesitation before my father gets up, thanks us, and clears his plate. exiting from the heart to walk the world.” After six months, I leave early in the morning and cross the lake, thinking of spitting jocote pits into the backyard and watching the closed-eyed, patient face in the mountains, dreaming skyward, caressed by kites. dinner depends on my ability to master this skill. asesinado, of violencia, of violación. I have not grown up with these words. in his backyard under his colored umbrella. Think of his anger. their husbands. They talk of how their husbands died, and their brothers. another’s culture from its politics, its spirituality from its struggle. supported an Internal Armed Conflict that lasted from 1960 to 1996.
and street corners and street corners, then back up at her. Why? that lasted from 1960 to 1996. I am trying to learn what I have written. America. This piece is a product of the wisdom of Irene Platarrueda, Richard Brown, Viviana Mendoza, and Javier Mendez, among many others. Dragons program were able to meet up in Amsterdam for a 10-day reunion. 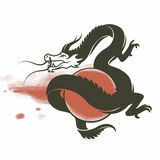 through Dragons, proceeds will be donated to the Dragons Global Education Fund. P.S. If you’d like to have your group reunion featured, tag your photo and caption on Instagram with: #DRAGONSREUNIONS so we can find and re-share it! heartland of mainland Southeast Asia. “gross national happiness” as an indicator of development. challenges of the Mekong River. DRAGONS INSTRUCTORS ARE IN YOUR AREA Meeting a Dragons instructor is often the best way to learn more about our program opportunities. We place a premium on human connection, both at home and in the field, by sending instructors across the country each year to meet with prospective students and their families. If you would like to learn what it means to go “Where There Be Dragons,” invite us over. programs. Just mention you are alumni during the application process. @ W H E R E T H E R E B E D R AG O N S Don’t forget to tag your reunions, inspired projects, international photos, and travel reflections with #WHERETHEREBEDRAGONS on social media. We’re always looking for news of your continued adventures! These deeply human encounters lit my journey like unexpected yet welcome campfires on an icy night. As I wallowed in the warmth of genuine smiles, welcoming hosts, and light humor, the cold chasm of “otherness” melted. Thirty-one years after my first visit to Nepal, I still feel like an apprentice to this place and people. 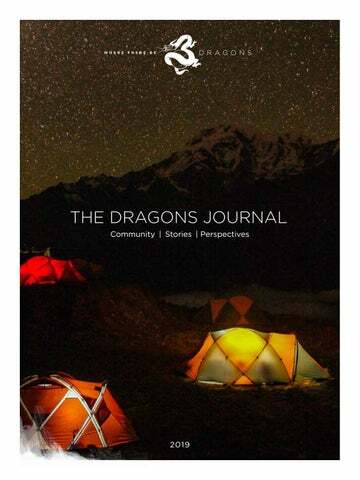 My homestay experience anchored a visceral truth: Mountains and cameras don’t do Nepal justice.” MARK BAUHAUS, DRAGONS PARTICIPANT Read more of Mark Bauhaus’ reflection on his trip to Nepal with Dragons, inside, on Pages 14–15. "Over the past few weeks, we have done a lot of walking. We have walked up mountains, down valleys, across landslides, over suspension bridges, across rivers, and through villages. One thing that I’ve noticed in particular is some of the different types of walking that have characterized this trek..."